Meet Ashim - he has recently finalised his final fourteen weeks training to become a Private, and will soon be posted to a local area. 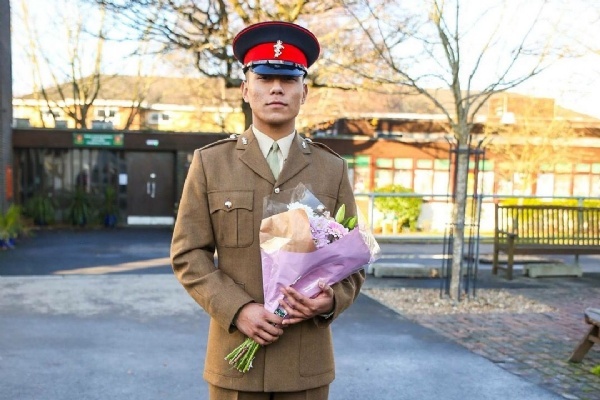 Ashim completed a two year course in Level 3 Public Services, passing with MMP (Merit, Merit, Pass), whilst also working part time, improving his fitness and preparing for numerous interviews with the army. Teachers have described Ashim as a 'hard worker', and they are all 'very proud' of him. "This young man was respectful, focused and reliable." We love hearing from our previous students, and we look forward to hearing from Ashim again soon, telling us how he is getting on.